At Grief Recovery Center, we specialize in a number of counseling options to help people identify and overcome barriers in their lives. For some, this may require dealing with the loss of a loved one or overcoming the loss of their job. People may even suffer from depression or anxiety and want to feel they are not alone. Group counseling is a unique option for people who want to hear the stories of others to help them make meaning of their own experiences. What Does Group Counseling Involve? 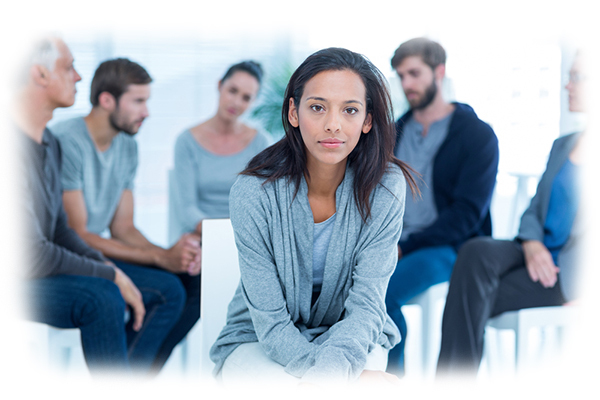 Group counseling in Houston is exactly as it sounds: you get specialized counseling help in a group setting. Working with one of our licensed therapists, you and several other people will meet on a regular basis to work through the issues or concerns you bring to the group. Depending on your particular situation, you may wish to join certain groups including grief recovery, depression, anxiety, or another group. It’s often easier for people to process and overcome what is happening to them when they see that others are persevering as well. We’ll work with you to determine the right group counseling option for you. Why Do People Seek Group Counseling? Everyone comes to counseling for their own reasons. What seems unimportant to some people is a real source of anxiety or worry for other people. Some people come to group counseling to overcome feelings of inadequacy, to deal with a death in the family, or to find the courage to chase their dreams. Group counseling is ideal for people who are shy about talking about their own concerns or issues because they can absorb and learn so much from those around them without having to participate. We encourage as much participation in group counseling sessions as people are comfortable providing. Keep in mind that counseling is designed to help you identify and overcome issues, situations, and concerns in your own life, so the more you offer, the more help you can get in group counseling sessions. Plus, you never know who you will be helping when you tell your story in a group setting at Grief Recovery Center. If you’re feeling worried or stressed about something in your life and feel like it’s time for a change, group counseling can help you manage those feelings and create a plan that will help you move forward. At Grief Recovery Center, our licensed Houston therapists have years of experience working with people just like you who have successful overcome their issues through group counseling. Whether you want to work through feelings of grief or you want to build your confidence at work, group counseling can help you identify the roadblocks that are preventing you from moving on. Our licensed therapists are highly trained and motivated to help you find your way back to the life you love. Together, along with other group participants, we can help you reach your counseling goals. If you’re struggling in an area of life that could be helped with counseling, consider Grief Recovery Center for group counseling sessions in Houston. There’s no limit to how many sessions you can attend and you might find that you start to feel relief and renewed hope for the future after a few sessions. Reach out to our licensed therapists today to schedule an appointment and find out how group counseling can help you live your best life.